The incredible cast of the upcoming horror film William Froste continues to grow, adding more recognizable faces to the amazing ensemble, as Halloween Daily News can exclusively report that the film has just picked up Kristina Klebe, from Rob Zombie’s Halloween and the upcoming Tales of Halloween, and Robert LaSardo, from Wishmaster 2, Strangeland, and The Human Centipede 3. Klebe will play Ryan Dixon, a tenacious private investigator with a checkered past. Klebe is best known for her role in the Rob Zombie 2007 remake of Halloween, as Lynda Van Der Klok, and her addition to the cast means that she will join the original Lynda John Carpenter’s Halloween, P.J. Soles, also appearing in William Froste. 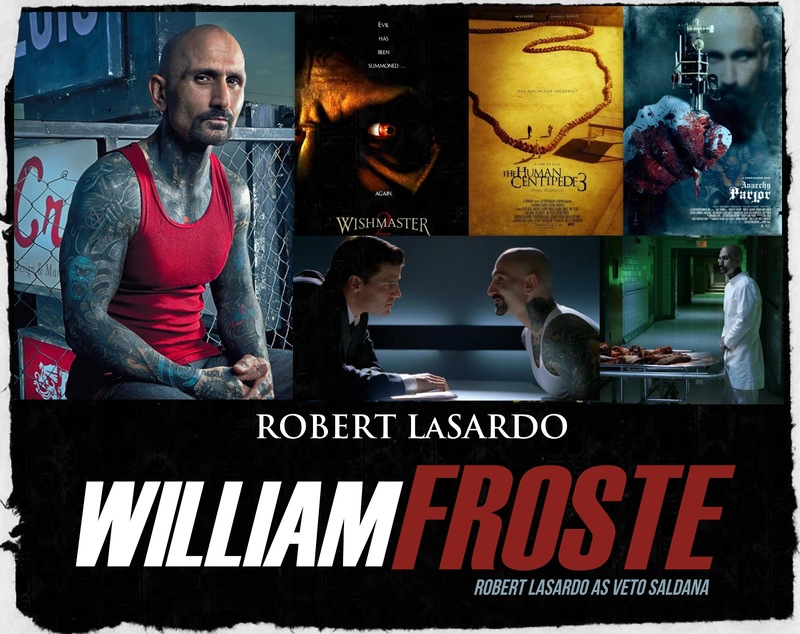 LaSardo will play convicted felon Veto Saldana, along side a slew of horror veterans, including three Michael Myers actors, Tony Moran (Halloween), Tyler Mane (Halloween 2007), and Daeg Faerch (young Michael in Halloween 2007), as well as genre icons like Bill Moseley, Kane Hodder, Michael Berryman, Muse Watson, Leslie Easterbrook, Miko Hughes, Steve Railsback, Jordan Ladd, Adrienne King, and many more. Kirstina Klebe and Tyler Mane in ‘Halloween’ (2007).